Ancient and often dangerous caravan paths lead into the heartland of the Western Himalayas - that geographic area which was the first object of research of Peter van Ham. The Western Himalaya conjures up a vision of vast mountainscape, with its snow-crested lofty peaks, verdant mountain slopes, cascading streams and sun-bathed glens and valleys. This region has been one of the most active and vibrant rendezvous for races and cultures since remotest times. Generation after generation, hordes of people, belonging to diverse ethno-cultural backgrounds, different religious beliefs and varying art traditions have been pouring into this region from all directions. It was only in the first decade of the 20th century that explorers such as Sven Hedin or August Francke came through these regions. 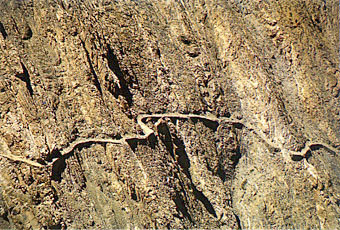 Hedin admired the breathtaking jhulas (rope bridges) of Kinnaur, Francke was among the first to describe the ancient monastery of Tabo ("Antiquities of Indian Tibet"). In the 30´s the eminent Italian tibetologist Guiseppe Tucci travelled along the Sutlej and the Spiti rivers up to Western Tibet to visit Tholing and Tsaparang. His detailed study of Tabo monastery ("Indo-Tibetica") is still state of the art. Top left: Sven Hedin dressed in Tibetan disguise in 1907. 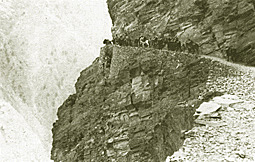 Bottom left and right: Guiseppe Tucci and his caravan travelling through Kinnaur in 1933. As may be seen from the pictures below, not much has changed in these regions since the eminent explorer´s days. In many areas the jhula (left) till the present day is the only means of crossing Sutlej or Spiti rivers and the many of their tributaries. However, today a motorable road runs breathtakingly above the streams towards the borders and allows transport with jeeps and other off-road vehicles. Accomodation in the Western Himalayas ranges from 5-Star Hotels in the major towns of Shimla, Manali and Leh till simple government rest houses and forest inspection bungalows along the routes in Kinnaur, Lahaul-Spiti and Ladakh. To be on the safe side tents and provisions should be carried along by oneself. 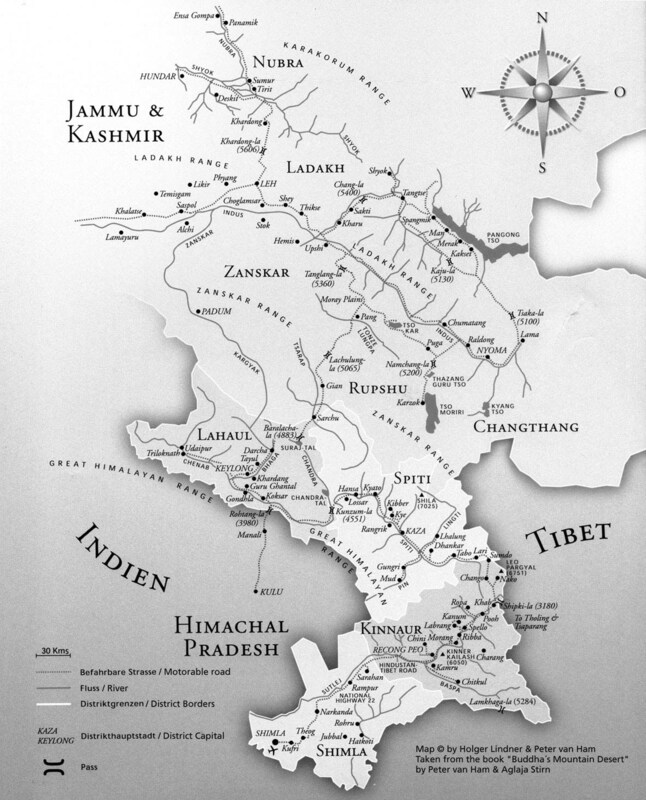 Culturally the Western Himalayas today is an amalgam of the Indo-Tibetan high religions of Buddhism and Hinduism, blended with unique forms of animism and local spirit beliefs. Here one may find the most ancient seat of Tibetan Buddhism existing in its original form (Tabo monastery), side by side with veneration of snakes and deities of water and the wind.